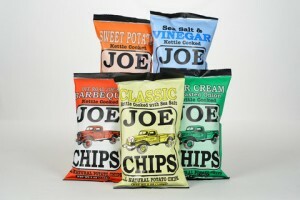 Joe Tea & Chips: We readily admit to potato chips being one of our guilty food pleasures. Whenever we travel, we always seek out local potato chip manufacturers to buy a bag or two of their chips. And take it from us, there are some really good potato chips being made across the United States! On a recent trip to the east coast, we discovered a brand of kettle cooked chips we really like – they’re made in New Jersey by the Joe Tea & Chips company of Upper Montclair. The company is well known for their unique flavored ice teas, which you’ll find in independent stores across the Eastern Seaboard. They recently introduced their line of potato chips, and we’re glad they did! 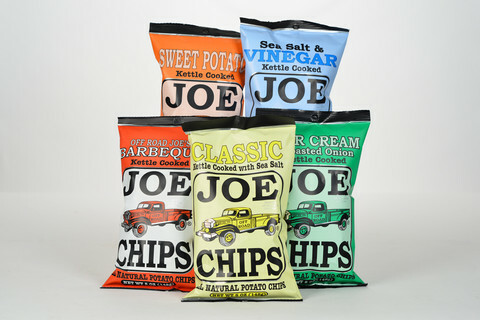 Joe Tea Chips are available in seven different flavors. We didn’t try them all, but the BBQ and Sweet Potato flavors are fantastic … the other varieties are Classic with Sea Salt, Toasted Onion & Sour Cream, Sea Salt & Vinegar, Salt & Pepper, and Jalapeno. We link directly to the Joe Tea My Shopify store above … you can buy their many flavors of tea and also the chips online there. Give them a try – direct from The Garden State! Two Guys Sauces Three Pack – A Great Gift! 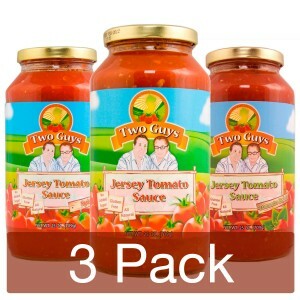 Two Guys Tomato Sauces: Tomatoes are probably The Garden State’s best known and most sought after agricultural product – there’s nothing quite like their texture and rich, full flavor. 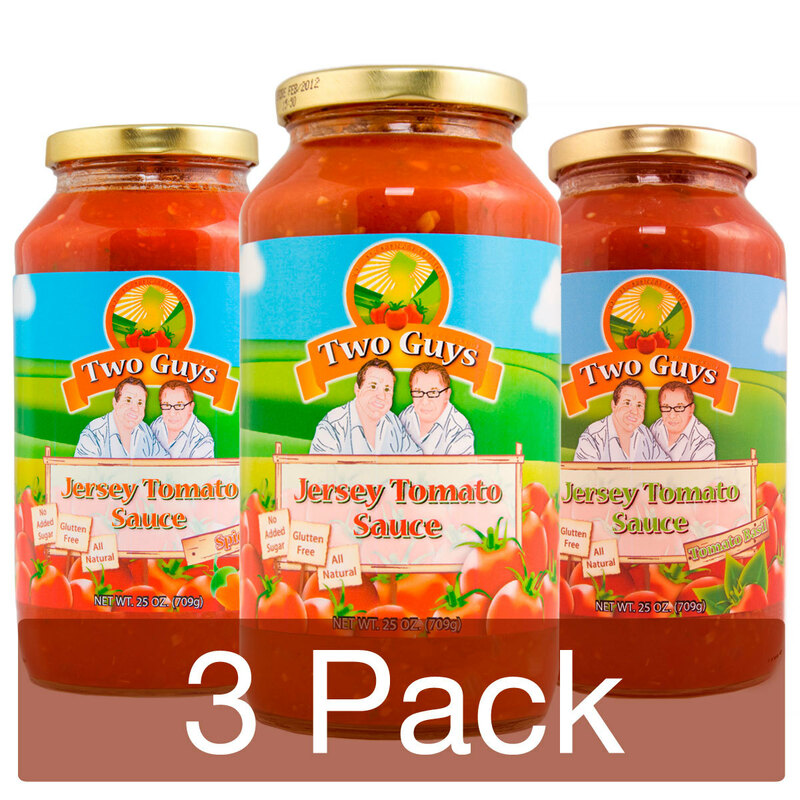 For those of us without close access to these delicious wonders of nature, the next best thing are the tomato sauces from Two Guys Food Group – they’re literally bursting with world class New Jersey tomato goodness! The “two guys” are Scott Stark and David Stoff, Jersey natives and friends from college who decided to combine their food passions by creating low sodium, gluten free tomato sauces with no added sugars. They’re available in three different varieites – Classic Marinara, Classic Spicy, and Tomato Basil. Use them in your favorite recipes or simply heat and ladle over pasta – fantastic! All three sauces can be found on a growing number of store shelves in the New York / New Jersey area, check the “Where To Buy” link at their website. You can also order them online in convenient three packs, six packs, or cases. You’ll get a sampling of each flavor so you an choose your favorite. 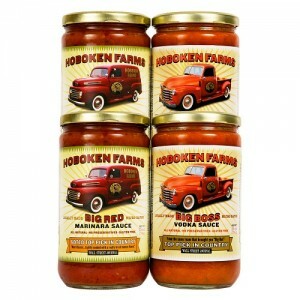 A great gift idea proudly made in The Garden State with those world famous New Jersey tomatoes! At the L.E.H. 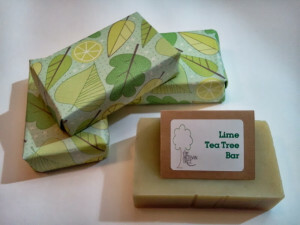 Soap website, you can browse and purchase any of their soaps, lotions and balms, bath items, natural remedies, and more. 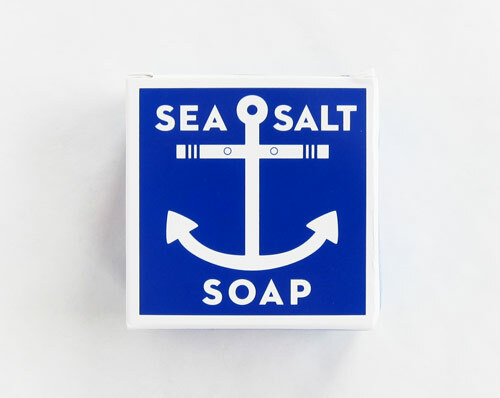 They’ve created an organic hair care line and we particularly like their men’s soaps, with scents like Bay Rum and Sea Salt. 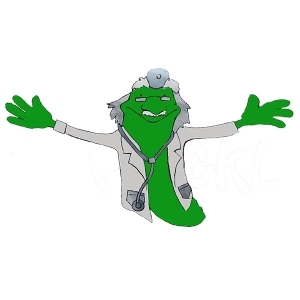 L.E.H. Soaps offer a rich lather and will soften and moisturize your skin. Natural herbs, flowers, and spices are part of the soap ingredients and help exfoliate your skin. Plus, natural bar soaps last a lot longer! We’ve been using small batch hand made soap for years and would never go back to those which are mass produced. Check out their website to see all they’re doing and to order for yourself or as a gift! Perfect on any traditional Italian style dish, Big Red and Big Boss are both available in small quantities to case lots at the Hoboken Farms online store. If you’d like to try them both, get the combination pack! Whale’s Tale Cape May: Cape May is without question our favorite New Jersey town. We had the opportunity to enjoy a day in this invigorating seaside resort town after taking the Cape May Ferry over from Lewes, Delaware. 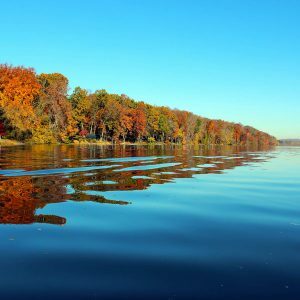 Known as America’s Oldest Seaside Resort, it’s located at the southern tip of The Garden State, where the Atlantic Ocean and Delaware Bay converge. This walkers and shoppers town offers many wonderful stores and local products, a few of which are spotlighted on this page. 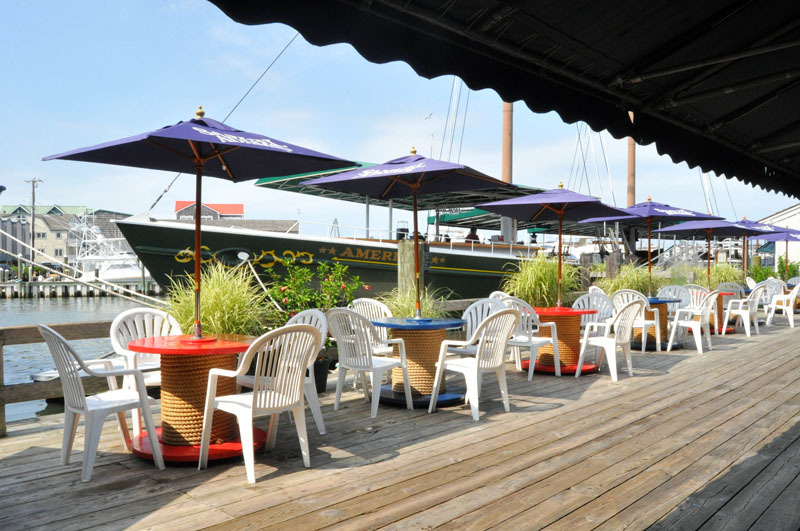 A favorite for area shoppers for over 40 years is Whale’s Tale, an enticing shop offering local handicrafts, gifts, jewelry, Cape May books, and much more. 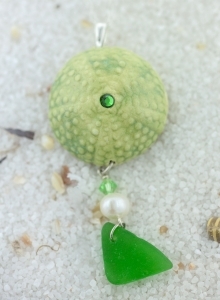 Several varieties are available at the Whale’s Tale online store – a very stylish gift from Cape May! Tassot Apiaries Honey: You’ve heard us sing the praises of local honey here on State Gifts USA. Not only does local honey provide personal health benefits, local beekeepers are important to area agriculture because so many plants depend on bees for pollination. 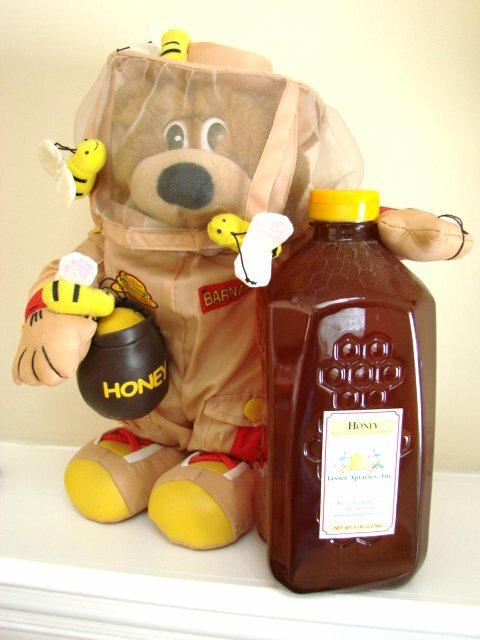 You can buy this honey, along with candles, honey sticks, and beeswax soap directly at their website via PayPal. Several varieties are available – a great gift from New Jersey! 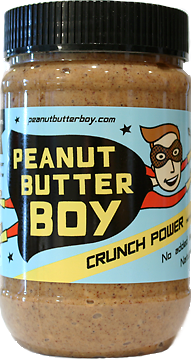 Peanut Butter Boy: Peanut Butter Boy is actually Nick Strand of Hoboken, who actually is one of the country’s (world’s?) most passionate peanut butter aficionados. If you need proof, check out the very cool Peanut Butter Boy website where Nick shares many unique recipes and uses for peanut butter! After trying nearly every available peanut butter on the market and sharing his thoughts about them, Nick set about making his own. The finished products are two 100% natural peanut butters called Super Smooth and Crunch Power. 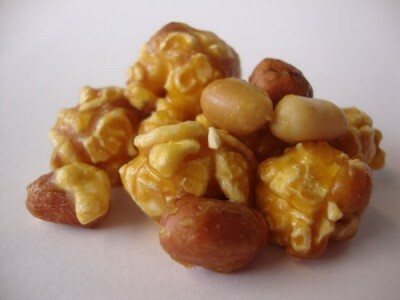 Each contains only three ingredients – roasted peanuts, pure sea salt, and a dash of sustainable palm oil to help prevent the peanut oil from separating. One unique aspect of Peanut Butter Boy Peanut Butter is unblanched peanuts are used. 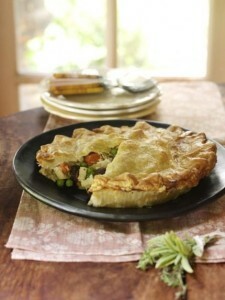 That means the skins are left on which adds more flavor, fiber, and antioxidants to the end product. 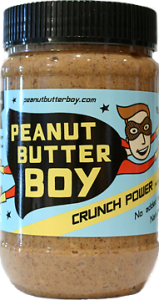 Super Smooth and Crunch Power are available at a growing number of outlets in the metro New York City area, or you can order single jars and combo packs online at the Peanut Butter Boy store. And even if you’re not in the market to buy, check out Nick’s blog and recipes at his site. It’s peanut butter heaven! 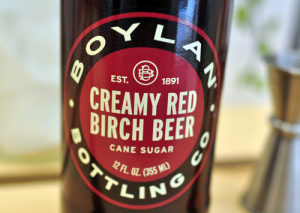 Headquartered in the small borough of Teterboro in the northeast part of the state, Boylan Bottling offers four specialty sodas as the core of their product line – Creme Soda, Root Beer, Ginger Ale, and Black Cherry. Ask any native New Jerseyite about them … they’ll know! 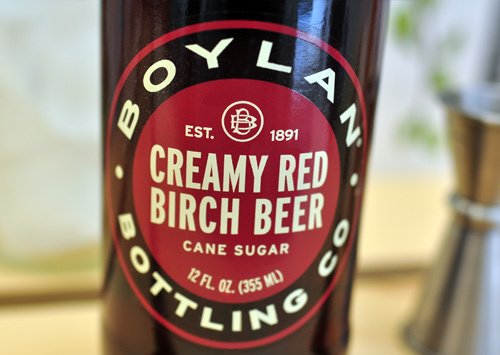 Boylan’s Sodas are set apart because they’re made using real cane sugar and not artificial flavorings. It may be more expensive to make, but you can bet they taste better! Best of all, you can buy any of the Boylan Bottling products directly online at their website in convenient 12 packs. Logo merchandise is also available! A wonderful gift for anyone with a soft spot for The Garden State! You’d be hard pressed to find a better New Jersey themed gift than the Fudge Kitchen Fudge & Taffy Combo Gift Box. It contains six pieces of their famous whipped cream fudge and assorted salt water taffy. Choose from almost two dozen flavors of fudge, including Vanilla Marshmallow, Chocolate Peanut Butter, Bing Cherry Vanilla, and many more. 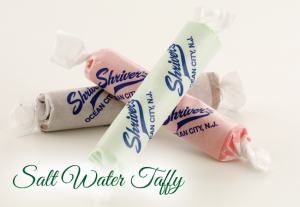 Salt water taffy is available in chocolate covered or standard variety, and we recommend you try their Vanilla Bean flavor … it is spectacular! Over a dozen flavors are available in all, and they come in handsome gift boxes just perfect for anyone on your list. 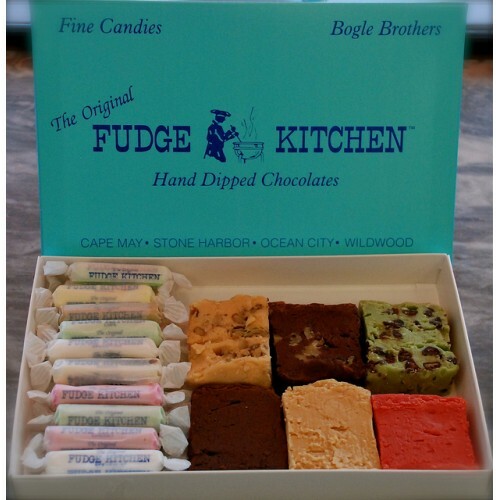 Stop by the Fudge Kitchens website to order, or better yet, visit any of their locations in person. It’s a real taste of coastal New Jersey! 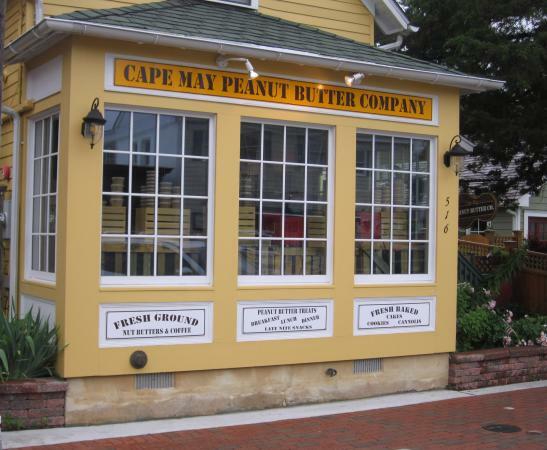 Cape May Popcorn Factory: If you’re a fan of Cape May like we are, another place you’ll want to visit (in addition to those places we feature below) is the Cape May Popcorn Factory, located right on Perry Street. Of course you’ll catch the enticing aroma of freshly popped popcorn before you enter … believe me it draws you in! If you’re not planning a visit to beautiful Cape May anytime soon, you can order directly from the Cape May Popcorn website. We haven’t met anyone who doesn’t appreciate a gift of popcorn! Cape May Scene By Scott Griswold, Jr.
At his site, you’ll see Scott focuses on many subject matters and areas of the U.S. – his southern New Jersey works are only a small part of his portfolio. He uses what he terms a digital painting technique – he creates images using digital technology in concert with his original photographs. You can actually have one of his images produced in a size that best fits your decor! Scott has a year around showroom in Ocean City, but you can view his works and purchase online at Scott Griswold, Jr. Art. Just click on “Shop” and use the drop down menu to select the category that interests you. 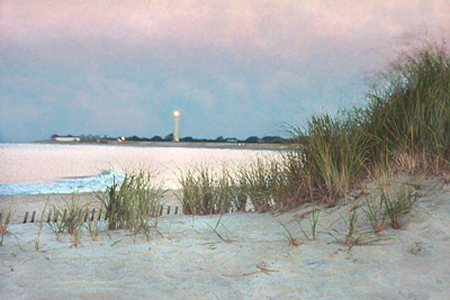 There are quite a few images of Cape May, Ocean City, and other southern New Jersey locations … any would make a wonderful gift! Since 1919, Steel’s Fudge has been one of the go to places at these most American of destinations. With two locations in Atlantic City and one in Ocean City, you’re never far from a Steel’s fix! Though Steel’s is best known for their fudge, they also make salt water taffy and a wide variety of candy confections. Try their peanut brittle – you’ll come back for more! 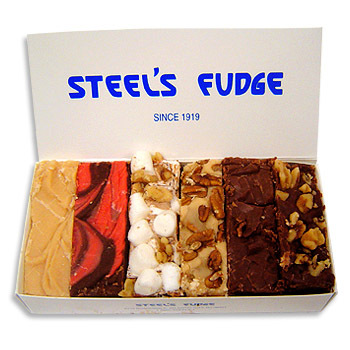 At their website, Steel’s ships their fudge and other treats all across the country. We like the one pound box of fudge, shown. It has six slices of their fudge in flavors of your choice! Order for yourself or send some as a gift from the New Jersey oceanfront! 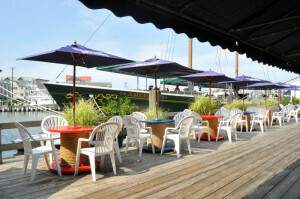 At their Fish Market and also online, you can order a unique taste of the area with the Cape May Clam Bake. Containing everything you need for your own Cape May experience at home, the Clam Bake contains two lobsters, 18 clams, 18 shrimp, and 18 mussels. It’s shipped Fed Ex overnight to anywhere in the U.S.! Being peanut butter aficionados, we thoroughly enjoyed tasting a few of their products and bringing a few jars back with us. For anyone who enjoys peanut butter, try their flavors! They’re naturally made and contain just a bit of sea salt for a fresh, unique taste. We found ourselves enjoying it right out of the jar! Their store also features Ocean City souvenirs, Shriver’s shirts and hat, and enough gift box options to keep you shopping for days! If you’re ever in Ocean City on the boardwalk, be sure to stop in. They’re located at 9th & Boardwalk – a real slice of Americana! Fresh peppers like guajillo, habanero, ancho, cayenne, and more are used to make products like Born To Hula’s Mild Sauce, kind of a red pepper sauce in the Louisiana style but milder and more versatile. Medium Heat sauces are made with red bell peppers, anchos, habaneros, guajillos, lime, and spices. We especially enjoy their Smokin’ Pineapple, a mild sauce made with peppers, spices, and fresh pineapple – great on grilled chicken and fish! All in all, six different sauces are available, so no matter if you like a little more heat or a little less, Born To Hula has got you covered! Varieties like Grapefruit Lavender, Eucalyptus Citrus, and Cocoa Mint are designed to soften your skin without drying it out like most commercially produced soaps. You can use these soaps as body bars or even as a shampoo bar – you’ll be surprised at how much softer and manageable you hair will be as opposed to using standard shampoo. We’ve been using natural handmade soaps like these as a shampoo for years and have noticed the difference! 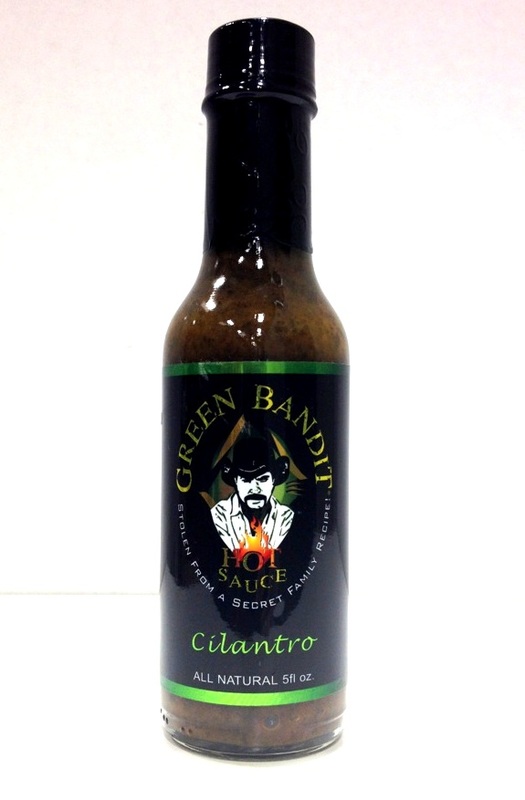 Green Bandit Cilantro Hot Sauce: We learned of this New Jersey made hot sauce recently when a friend had us over for a Mexican style dinner. He’s a big fan of this hot sauce, and now we are too! It’s a slow burning heat – use a few drops on a taco, enchilada, or any Mexican dish. The flavor will complement anything you cook! 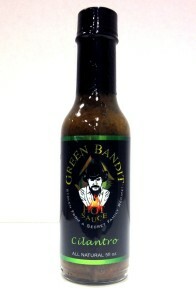 We actually mixed in a spoonful of Green Bandit with our meat and pepper medley when preparing a taco dinner, and the sauce is all we needed for heat and spice. It goes exceptionally well with chicken! Click through to their website and taste the freshness of The Garden State! 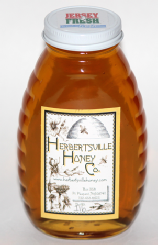 Check out the Herbertsville Honey website to see all the different varieties of honey and their honey based products. 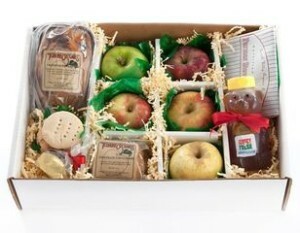 A real Grown-In-New Jersey gift for yourself or someone special on your list! 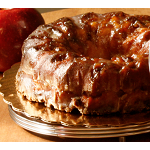 You can also order apple cider, cider donuts, and cookie assortments at their web store. Enjoy the orchard fresh flavor of New Jersey! Two of the more interesting products are their Picalilly Relish and the Pickled Chili Pepper Rings. 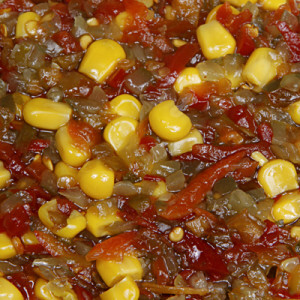 Picalilly is a type of relish that’s known by several different names across the United States. 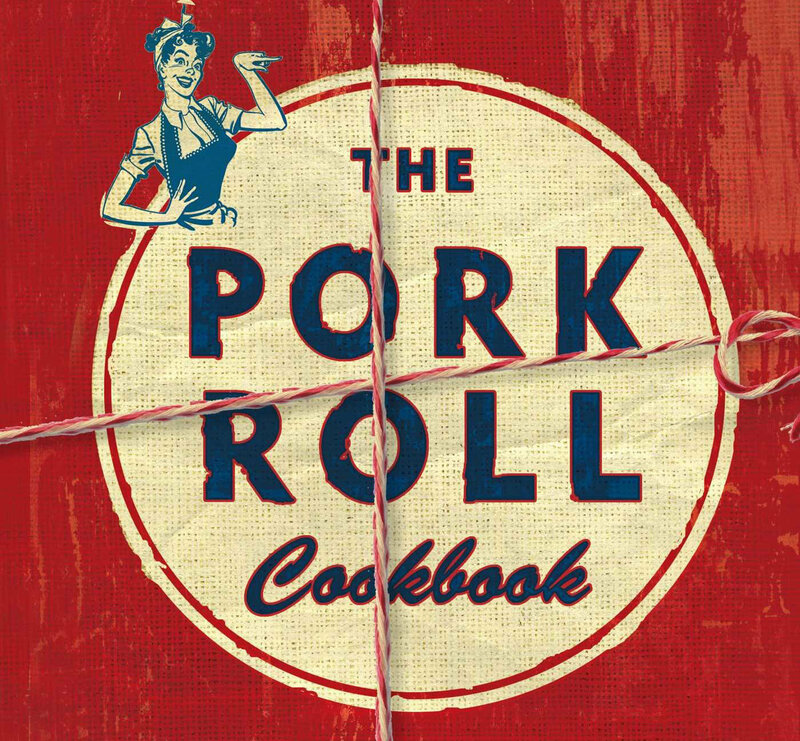 In the south, it’s usually known as chow chow. In other areas, it’s known as sweet relish. Picalilly was a prevalent term for the product in the Midwest many years ago, but not as much today. Use Picalilly Relish on hot dogs, hamburgers, or in any type of mixed salad like chicken or tuna. It adds a nice sweet dimension to the taste! 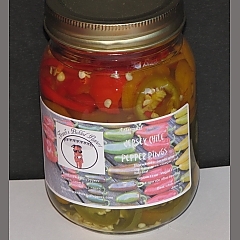 The other product, Pickled Chili Pepper Rings, are made with New Jersey grown hot peppers. The peppers are sliced into rings and then pickled and jarred. Use them on salads or any type of sandwich for a nice little zesty eye opener! The farm is also known for their pork and lamb products as well as organic eggs. For online shoppers, you can access their artisan cheese which can be shipped anywhere in the country. 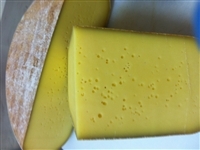 The variety is enticing – brie, cheddar, and a Swiss style cheese known as Rosedale are just three types available. You can also buy gift packages, like the Taste of Lawrenceville which includes two types of jack cheese along with locally made chutney and crackers. Products are shipped on Mondays and Tuesdays to ensure freshness … direct from the fields to your door. Try their sauerkraut and their marinated mushrooms! Walking in one of our local supermarkets recently, I saw a tag line sign adjacent to a display of Walden Farms Salad Dressings. 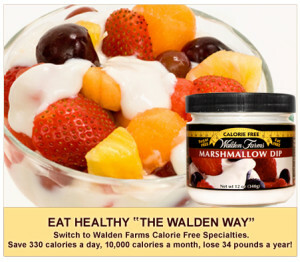 It said “Save 10,000 Calories A Month The Walden Way”, and while tag lines like that usually don’t draw me in, the look of the salad dressing appealed to me. It was their Chipotle Ranch Dressing, and I normally shy away from ranch dressings due to their fat content even though I love the taste. If you feel the same way, try Walden Farms Chipotle Ranch – it is terrific! Click through to their website to see their literally hundreds of healthy condiments. Another catching my attention is their Marshmallow Dip, another flavor I love but tend to avoid to help me stay in shape! Plantains are similar to bananas. They’re actually part of the banana family but can only be consumed after being baked or fried. Plantains grow abundantly in tropical climates and are sometimes known as the pasta or potato of the Caribbean. Plantain chips are highly nutritious, containing ample amounts of Vitamin A and C as well as dietary fiber. More importantly, they taste great and are a perfect match with any type of party dip or right out of the bag! You can have any of these cakes shipped directly to your door from Angela’s website, linked above. A great story, and a great taste! Peony’s Envy ships peonies nationwide during the cool and cold months (September to May) and tends to their large nursery the remainder of the year. As much as we love peonies, we were attracted to the company not so much for their live flowers but their unique peony themed gift items like jewelry and home and garden art. Owner Kathleen Gagan has partnered with artists from across the U.S. to create jewelry inspired by peony seeds and branches. You can shop for earrings, bangles, rings, pendants, bracelets, and more. The stud seed earrings shown come in either bronze or .925 sterling silver … an ideal gift for the flower lover on your list! 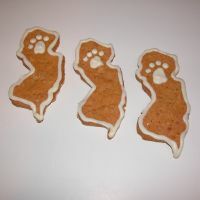 Hillside Candy produces a delicious selection of Made in The Garden State confections like organic, sugar free, gluten free, and diabetic candy. They also create traditional candies (made with sugar), so no one is left out! 4). Did you know New Jersey is the actual home of New York’s two pro football teams, the Giants and the Jets? General Pencil Company: Pencils are kind of taken for granted I suppose, but did you ever stop to consider where the pencil in your desk drawer was made? 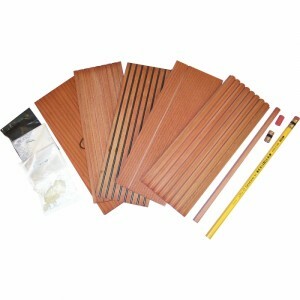 The company is also a leader in producing supplies for artists, particularly pencil and charcoal artists. They offer a number of products to help children learn to draw at their online store, as well as a few educational project kits … one in particular is a great do-it-yourself project called the “How A Pencil Is Made” Kit. There’s also drawing kits, how to books, specialty art items, and of course, pencils! 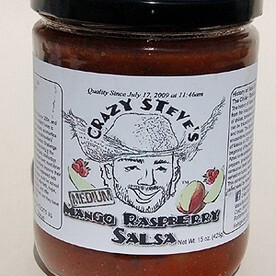 The company produces fruit butters, sauces, mustard, chutneys, and more. 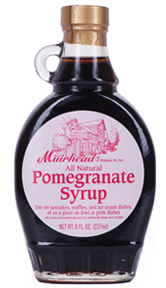 Family owned and operated since 1974, Muirhead Foods offers direct access to their products via their online store. While you’re there, check out the many recipes as well as the convenient gift packs and boxes which make a great Garden State gift! First Field Ketchup: First Field of Princeton, NJ uses one of New Jersey’s most famous agricultural crops … the Jersey Tomato … and turns it into one of the freshest, best ketchup tastes we’ve ever tried! The ketchup comes in two flavors – original and roasted. The roasted style is made with fresh poblano peppers, which imparts a rich, smoky roasted flavor. 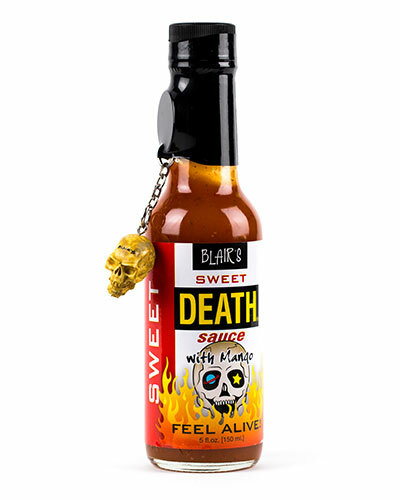 We’ve tried a couple of the sauces and our favorite is Sweet Death Sauce, which offers ample mango flavors and is excellent on any pork dish or mixed into stir fry dishes. If you like really hot sauces, say for chicken wings, order some of Blair’s Death Sauces and go for it! 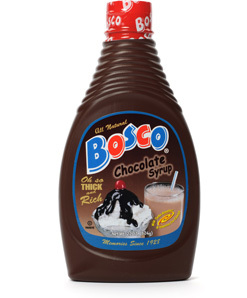 Bosco Chocolate Syrup: Since 1928, Bosco has been a favorite of kids of all ages. Known primarily for Bosco’s Chocolate Syrup, they make other flavored syrups as well as Bosco Chocolate Bars and a Bosco chocolate fountain drink. The products are made in Towaco, NJ. You can normally find Bosco Chocolate Syrup in most larger grocery stores. It’s used to make chocolate milk out of regular milk … just add a squirt of Bosco to a glass of cold milk and voila! If you can’t find Bosco products in your area, check out the Bosco website which tells Bosco’s story and links to their preferred online source to buy. They also have several Bosco t-shirts you can buy to show your good taste! Fat Murray’s dog treats contain no preservatives, no sugar, no dyes, and no artificial coloring. In other words, all natural and good for your dog! 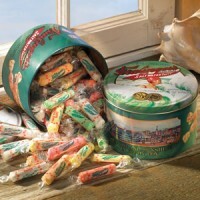 Fralinger’s offers 16 flavors of salt water taffy, all individually wrapped. They’re as colorful as they are soft and chewy, and make the perfect New Jersey gift for anyone with a sweet tooth! They’re a small place (pictured), but big on taste. 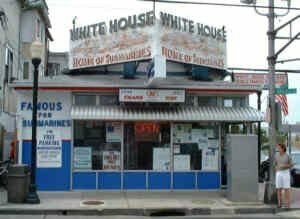 Presidents have eaten here, as have many of the entertainers who’ve graced Atlantic City venues over the years. I was so pleased to enjoy lunch here while on a business trip several years ago … it’s a must visit if you stop in Atlantic City! White House Subs will ship submarine sandwiches across the country via next day air. It might be a little expensive, but well worth it! Not to mention, it’s a great gift for anyone with connections to New Jersey or Atlantic City … check their website for shipping details.